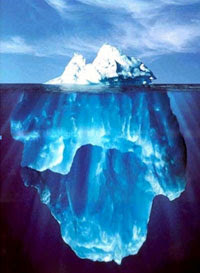 For any theatrical production, audiences gather to enjoy the performers and spectacle onstage, blissfully unaware of the flurry of activity that goes on behind the scenes – comparable to that huge part of an iceberg that floats unseen underwater, supporting what’s visible at the top. When The Ring Cycle at Seattle Opera comes around every few years, the size of that support grows to be bigger than ever, from the number of staff, to the amount of rehearsals, to everything that goes into the final onstage product. The production department has already been hard at work for months to coordinate these elements. So, let’s look at some of the cold hard facts that add up to make your four-day aesthetic experience at the theatre so magnificent and so exceptional. For a reference point, we will use numbers from a standard opera in repertoire, and one that many of you may have enjoyed in May at Seattle Opera, The Marriage of Figaro. With four operas melded into one production, it only makes sense that we need more time to mount The Ring. We rehearse over four times longer than usual, and, if I may say so, four times more intensely to get it all done! Usually, there is a music rehearsal and possibly a staging rehearsal on the first day of a production, but for The Ring we dive right in, scheduling all four operas to start rehearsing at once. That’s right, because so many rehearsals take place simultaneously, beware of giants working on their fighting skills or Rheinmaidens flying in the air in the hallway outside to our usual rehearsal rooms! Without question, these 19 people are the unsung and un-applauded gods of The Ring Cycle. They put in unthinkable hours of sweat (and probably a few tears) working as the rehearsal support staff, not to mention the 3 directors, and even 2 van drivers that you can spot zipping around town in our Ring van transporting the artists to rehearsals. Now that you have a more tangible idea of what goes on in the 3 months before opening night, stay tuned for a look at the numbers behind what you will see onstage! Having seen just a tiny part of what goes into making this production a success I am in awe of everyone involved. Hallo, "Ring"- anticipaters and creators!! YES!!! A lot of time and effort and ability from a lot of people go into a "Ring" production. Why not honor them all by having all who are then available (stage hands, musical-preparers, costume-cutters, etc., etc., mass on stage at the end of "Goetterdaemmerung" for a well-deserved curtain call? ?